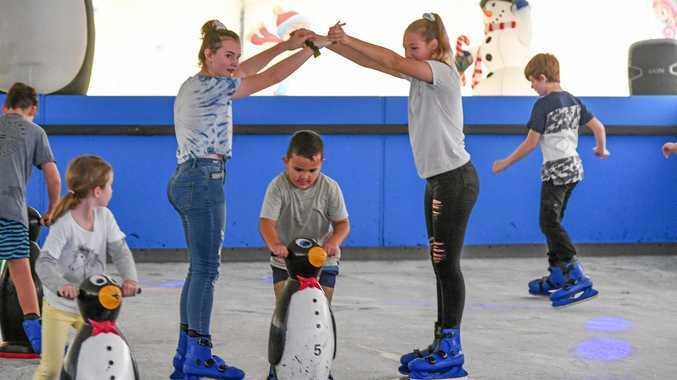 THE young and old are strapping on skates to have the rare experience of enjoying a real ice rink in Gladstone. AN ice skating rink opened at Kirkwood this week and will remain until January 25. For those new to the sport penguin skate aids are available to help provide balance. Tickets are $16 for under 18s, $20 for adults or $130 for a full season pass which includes one visit a day. For more information visit Gladstone Ice Skating's Facebook page or call 0412344941.